Chemeketa is a non-residential community college. In 2016, the college had an FTE of approximately 11,131 and an unduplicated headcount of 29,802. While the main campus is in Salem, Oregon, the college maintains an additional center in McMinnville and four other centers across Marion and Polk counties. Students typically take three years to reach their educational goals, which include obtaining ongoing education credits, completing a professional certificate, completing an AAS within a specific program or completing the transfer degree. Chemeketa’s values of collaboration, caring, innovation, diversity, equity, and stewardship have long ensured that Chemeketa students have been involved in sustainable practices, whether or not they were created with that label. Chemeketa frequently enters into local, mutually beneficial partnerships with community organizations, non-profit organizations, government agencies, and area schools (at all levels). These partnerships consistently provide added value to our students’ educational experience, increase the accessibility of valuable services, and serve our community. In the long-run, it also helps students to stay in school. Chemeketa’s Diversity and Equity officer and Sustainability coordinator have been meeting periodically to discuss potential ways to collaborate. Chemeketa is also striving to become a Hispanic Serving Institution, a designation that may result in additional funding for the school. Both parties agree that educating our college community about the links between environmental sustainability and diversity and equity is a key piece to moving both causes forward, particularly as ways to improve the retention and engagement of our students. Chemeketa students participate in various environmental and experiential learning experiences through civic engagement, service learning, and volunteer service requirements. College students at Chemeketa who are actively engaged through Student Retention and College Life frequently participate in activities surrounding hunger and poverty. Make a Difference Day featured a day over at the Marion Polk Food Pantry sorting food and collecting toys. Student Retention and College Life has offered a Community Service Leadership course for many years. The course is free and has no pre-requisites. For many of the last five years, students enrolled in that course have created and implemented service learning projects around food-equity. Chemeketa is no stranger to providing food for hungry students. In 2012, we estimated that there were over 63,460 food-insecure people in Marion and Polk County. Chemeketa’s district encompasses all of Marion County as well as parts of Polk and Yamhill counties. According to the Oregon State University Extension Service, Marion County also has the highest value of agricultural production in any county in Oregon. While our area is home to many nursery crops, we also grow vegetables, manage dairies, raise livestock, and grow nut and fruit trees. Despite this, 1 in 10 families in Marion County receive food boxes each year. Marion Polk Food Share approached Chemeketa in 2011 about providing a host site for a proposed youth farm. The Marion Polk Food Share Youth Farm (the MPFS Youth Farm) teaches area underserved youth job skills through farming and farm business management. Students do jobs on the farm and sell produce at the farmers’ market. 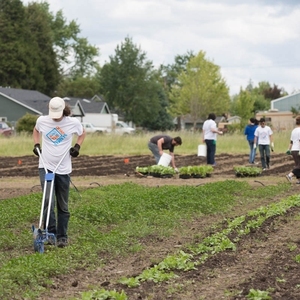 The program primarily runs during the summer months and the MPFS Youth Farm relies on community volunteers during prime planting and picking season. While the college was interested, we were unable to move the project forward at the time and the MPFS Youth Farm began at the Oregon School for the Deaf. The site posed many challenges to the program, including a lack of night time access and a constrained site. Marion Polk Food Share continued to work with faculty and staff at Chemeketa to move the program to Chemeketa property. 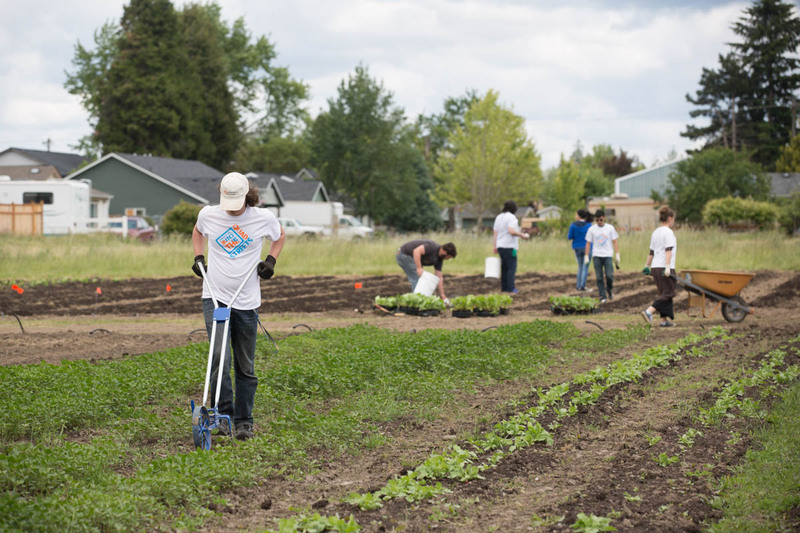 In 2015, Chemeketa entered into an agreement with the Marion Polk Food Share to provide six acres on the Salem Campus for their MPFS Youth Farm. In return, Chemeketa students gained access to a working farm. No formal plan was created for working with the Youth Farm. The MPFS Youth Farm gave us a platform to look at how multiple aspects of a system are impacted by triple bottom line sustainability. While set up as a response to a local hunger program, the MPFS Youth Farm is run with minimal chemical inputs and in the long term will seek be certified organic. 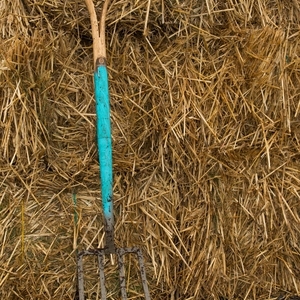 The farm also is managed holistically. 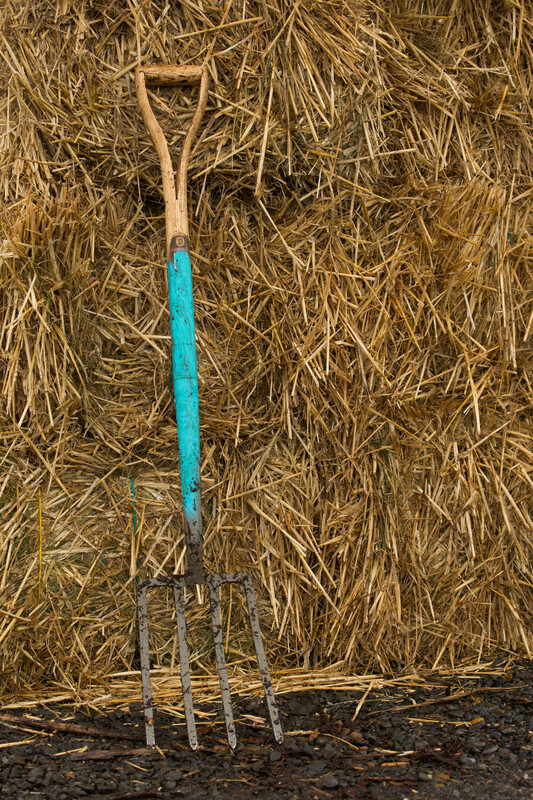 It employs crop rotation and plants overwintering crops to maintain soil health. 2016 Community Service Leadership Course The Diversity and Equity Office, with the assistance of the Sustainability Office, sought to revive the two-credit leadership course offered through SRCL and retool it to include a holistic introduction to sustainability through the youth farm. We sought to balance the leadership class between training students in leadership skills and placing the course in a holistic sustainability context that included issues around environmental sustainability, diversity & equity and food security. Identify the rationale and motivation for participating in community service projects. 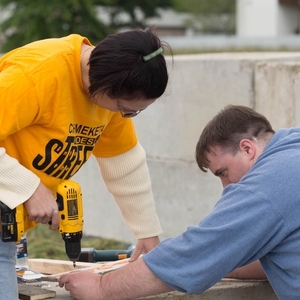 Apply basic steps to identify and plan a community project. Use skills to communicate with community contacts. Lead a community service project. Discuss food systems issues (such as equity, access, distribution) locally, regionally, and globally. Understand your service as taking leadership toward addressing food systems issues. In the 2016 edition of the class, the Chief Diversity and Equity Officer and the Sustainability Coordinator agreed to revive the leadership course as a team-taught class using both the Sustainability Coordinator and the Student Leadership & Civic Engagement Coordinator from SRCL. The Chief Diversity and Equity office sponsored SRCL to hire an adjunct faculty member (the college’s part-time Sustainability Coordinator) to create supplemental curriculum materials around holistic sustainability, which involved sourcing readings, revising the existing syllabus and working with the Student Leadership & Civic Engagement Coordinator to teach the course. The course instructors then worked with the Marion Polk Food Share Youth Farm program staff to establish project timelines and obtain class visits. The Community Service Leadership classes were developed by the following people. Community Service Leadership Course Timeline 2011 - Chemeketa students in a Community Service Leadership Class offered through Student Retention and College Life (SRLC) created a food pantry with the help SRLC staff and an Oregon Campus Compact AmeriCorps service member. The food pantry is a free resource for anyone with a Chemeketa identification number. It’s confidential and has no income restrictions. The purpose of the food pantry is to convince students that eating regularly is better for their academic performance. It provides emergency food relief and household supplies not covered through Oregon’s Supplemental Nutrition Program (SNAP). 2012 - Chemeketa students in the leadership class created an organic student garden to provide ongoing fresh produce for the food pantry. The 2012 edition of the course was designed by an Oregon Campus Compact service member through their campus compact program. The 2012 course focused on conscious eating and conscious choices more than leadership skills and the outcome of the class was an organic student garden that provided fresh produce for the food pantry. That class was taught in various forms by AmeriCorps members through 2014. Following the loss of AmeriCorps funding in 2014, the organic student garden passed into the hands of the Horticulture program, and a change in staff in SRCL resulted in shifting the focus back to leadership skills. 2015 - Chemeketa entered into an agreement with the Marion Polk Food Share to provide six acres on the Salem Campus for their MPFS Youth Farm program. In return, Chemeketa students gained access to a working farm. 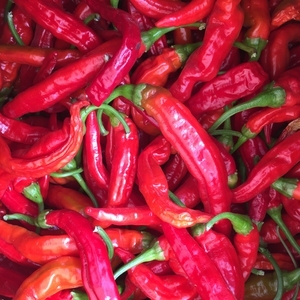 While students from Chemeketa’s horticulture program continue to provide fresh produce for the food pantry, this change meant sustainability based on-campus service learning opportunities for students. Our students often have poor access to transportation and the area’s lack of night and weekend bus service frequently involves fewer volunteers for service events that take place on campus after business hours on campus or when the college isn’t providing group transportation. 2016 - SRCL, the Sustainability Coordinator, and the Chief Diversity and Equity Officer put together a pilot project to work with the MPFS Youth Farm. Our sustainability office collaborated with SRCL office to modify an existing Community Service Leadership course into a triple-bottom line sustainability course around the MPFS Youth Farm that included pieces on both sustainable eating and on food insecurity. The Diversity and Equity office hired the college’s Sustainability Coordinator to create supplemental curriculum materials around holistic sustainability. Chemeketa is also striving to become a Hispanic Serving Institution, a designation that in other years, might mean additional funding for the school. Driving home the links between our environmental sustainability and diversity and equity programs is a key component to moving both causes forward, particularly as ways to improve the retention and engagement of our students. 2017 – SRCL hires an AmeriCorps College Access Corps Service member to recruit students to be mentors to Boys & Girls club participants. The job also includes coordinating field trips to bring Boys & Girls Club youth to the Youth Farm for service days including presentations and or tours, led by students in the class. The course has been taught with AmeriCorps support several times; however, the 2016 edition of the course was taught with the joint support of the Diversity and Equity Office and SRCL. Both regular staff members were paid as adjunct staff members. The various editions of the leadership course have included readings on making informed food choices and Diversity and Equity and the essential structure of the course has remained nearly the same. Students are graded on participation, a reflection journal, a project plan, and a post-project reflection. Students were also required to perform 8 hours of community service at a location of their choice (which could include the Youth Farm). The 2016 course contained readings focused on the nuts and bolts of communicating and working in groups to create service projects. Supplemental readings provided background and context for the service project. The readings were designed to provide students with a multidimensional and interdisciplinary experience. The readings were around hunger, food equity, identity, diversity and equity, intentional eating, and sustainability. We aimed to give our students a deep look into a complex societal issue, while demonstrating their own ability to affect change. The course also hosted guest speakers from the Marion Polk Food Share. One was introducing the students to the farm and the second was to talk about the role of the farm worker’s movement. We also showed short videos from you-tube on the status of migrant workers in the United States. The class met for one two-hour block each week. Class was divided between discussing the reading and creating a service project around the youth farm. Students were given reading questions at the beginning of each class and time to compose their thoughts before each discussion began. Weekly student journal assignments frequently offered choices between reflecting on their leadership skills and reflecting on the reading. The lessons involving sharing personal experiences were particularly powerful for the students. In each class, prior to class discussions we assigned structured questions about the readings and gave the students 15 minutes to organize their thoughts. In part this was successful because of the diversity of our students in age, gender, gender identity, skill level, and race. Student stories ranged from those of identity to experiences of food insecurity, poverty, and homelessness. In one class where we covered food equity, one student shared her personal knowledge of food deserts in the area. This touched on people’s experiences with the local transportation system and various housing conditions. For some students this meant knowing that they were not alone in their struggles and for others this involved being exposed to new ideas and perspectives. We also offered one journal assignment in which students could break out of the confines of the traditional narrative reflective form. It could be written a written or painted piece. It even could be composted music. We asked them to present those in class, which offered them an alternative outlet for expression. The Sustainability Coordinator also collaborated with the Student Leadership & Civic Engagement Coordinator and the MPFS Youth Farm to create a day of service following Earth Day. This had the added advantage of providing a built-in time where students could complete some of their outside service hours. For that day, students from around the college worked to plant bioswales designed by Oregon State University Master Gardeners. The bioswales contained a combination of walnut and fig trees, herbs and artichokes. Students created two projects – a worm composting bin demonstration and a plant labeling activity. Students in the worm composting bin demonstration project created a brochure, made a presentation and assembling materials. Students in the plant labeling activity focused on collaborating directly with Youth Farm staff and acquiring materials. Both groups wrote up project plans as a group. At the end of the project, each student wrote a post-project reflection. 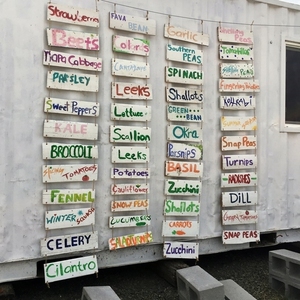 In the Spring of 2015, students from the leadership course created a sign-painting activity at the farm, and created a vermicomposting demonstration. They also invited other students to participate and over 40 students came out to the youth farm from across the college. Reactions from students in the course were mixed and while students enjoyed the work at the farm, they found the group work complex and the readings extremely challenging. Students also frequently experienced a fear of doing outreach work – making cold calls is not easy for them. In addition, the challenges of forming groups might have been a little too realistic in terms of the number of obstacles they had to overcome to connect outside of class. We found that group discussions were greatly enhanced when students were given a few minutes with structured questions prior to starting the discussion. It also proved difficult to assess and provide a service learning project designed specifically for the Youth Farm within the 10-week term time frame. The class needed to continue to work as a two-credit course. We concluded that the students need focus more on their presentation and communication skills and less on designing the community service learning events. This year we offered a Community Service Leadership course in both winter and spring terms and the course has focused on mentoring middle-school aged students at the Boys & Girls club. This course offered smaller, pre-chosen service experiences to help them build the self-confidence needed to create larger service projects on their own and reduce the complexity of group work. Serving learning experiences will continue to take place at the Youth Farm and have been expanded to honor of a variety of holidays: Martin Luther King Jr. Day, Cesar Chavez Day, and Earth Day. This fits in well with AmeriCorps requirements. An additional work day will take place during the SRCL’s annual Into the Streets event in June. These work days will also serve as bonding opportunities between mentors and students and provide an opportunity for the students to make presentations on food equity and the MPFS Youth Farm program. 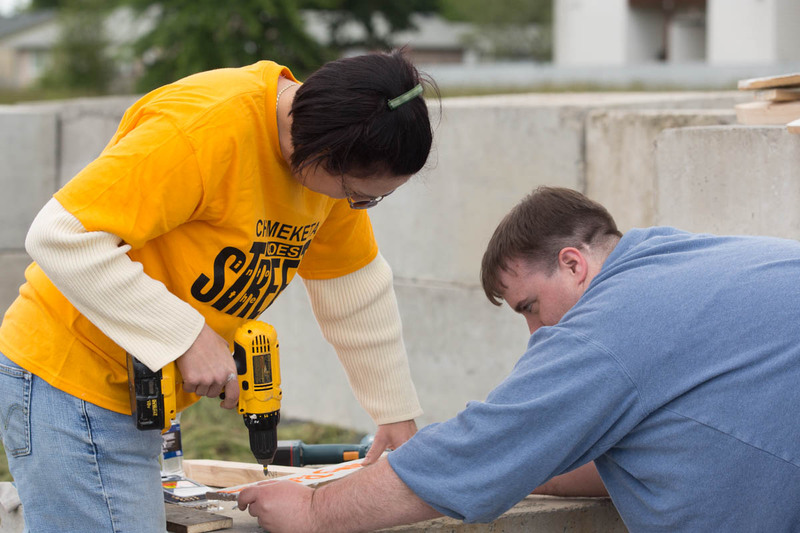 This spring term, the two projects have changed and will take place as part of the college’s annual “Into the Streets” event, which focuses on local community service. One group will still lead the educational workshop about the MPFS Youth Farm, community gardens, and hunger, but because the local school district will be out for the year, the leadership class will be presenting to a group of other college students/staff/community volunteers. This will take place at the Youth Farm barn and be followed by a work party at the farm. In the afternoon, the second group will lead a cooking demo using food typically accessible at the Farm and food pantries, and create a recipe packet that community members could pick up with food. This is an opportunity for the students to provide recipes that include food based on their different cultural backgrounds and interests and to share their own cultural stories around food. . Overall, student skills played a large role in how the class has changed. The students enrolled in the course had such a broad array of education skills, that it became necessary to focus the second edition of the course on teaching presenting skills. The course was deliberately designed to have no prerequisites. One option to help might be to encourage students with fewer skills to be concurrently enrolled in a writing or communications course. There are still elements of previous iterations of the Community Service Leadership course that we would love to bring back; time constraints are the biggest challenge and the previous iterations may have required too much outside course work for a two-credit course given the wide variety of skills students had. One of SRCL’s other leadership mentoring courses is expanding into a three-part series, in order to provide deeper engagement and learning for students who want to keep mentoring without repeating the same credits. Each has a slightly different focus, which would encourage students to deepen their commitment to learning about leadership. One possibility for the future of the Community Service Leadership course is to also split into two or three parts. This would allow some of the deeper exploration of the topics (food equity, farmworkers movement, food choice as part of the culture of eating). However, it seems prudent to see whether the mentoring class can maintain enrollment for three terms. Another challenge is that this course is presently an elective and the college is working towards creating student pathways for transfer students. These could be routes to a major at another institution. Fortunately for the longevity of the program, Chemeketa has received a renewable grant with AmeriCorps for next year.